CAS-ual Fridays COFFEE TALK Clear Stamps CFS1802 at Simon Says STAMP! CFS1802 This item is on reserve until If you would like to reserve this item now, you may purchase it now with the rest of your order. We will hold your order now and ship your entire order as soon as this item is back into stock. If you would like your order to ship now, please place this item on a separate order. Success, CAS-ual Fridays COFFEE TALK Clear Stamps CFS1802 has been shared! 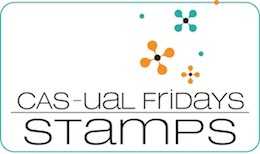 CAS-ual Fridays Stamps is a small company with big ideas located in beautiful Colorado. From bold and sassy to lovely and elegant, their clear stamps are designed with Clean And Simple style in mind, hence the CAS in their name. Made in the USA of the finest clear photopolymer, they love ink and stamp like a dream! Whether you are a CAS enthusiast or lover of Utterly Adorable Layers, you will have a blast getting inky with these versatile stamps. All the stamp and die sets you'll find here were personally dreamed up and designed by owner Michele Gross. New designs are released nearly every month, so there is always something exciting to ooh and aah over!